The incredible, edible egg: It makes brunch delicious, hangovers bearable and us more beautiful. Yes, you heard that right. Eggs are the ultimate skin and hair care ingredient. From tightening pores to brightening the complexion, a little bit of yolk can really do your body good. In honor of Easter weekend, we rounded up some must-try skin, hair and body products that boast the benefits of eggs (and look like them, too). People with large pores can benefit from egg-derived products because the whites are known to tighten skin, erase blackheads and control excess sebum. The Egg Pore series by Korean beauty brand TonyMoly uses egg white extracts to refine pores. The Silky Smooth Balm is a primer that keeps oil at bay and makeup intact for hours, all while smoothing out the complexion. The Blackhead Out Oil Gel helps clear out dirt and oils from pores, while the Tightening Pack Mask cleans, tightens and brightens the skin. While most egg-derived skincare uses whites or yolks, this one taps the protective power of eggshell membrane instead. The eggshell membrane is the thin lining found between the shell and the white; you may have even found yourself peeling it off a hard boiled egg. The membrane protects the embryo from harmful microorganisms, and research has shown that it also plays a role in the growth of chick cells. It’s packed with protein fibers made up of more than 20 different amino acids, and contains collagen and hyaluronic acid, making it a skincare powerhouse. Perricone MD’s OVM treatment utilizes the benefits of eggshell membrane in its gel-like formula, which also features a low dose of retinol for plumper, smoother, more radiant and younger-looking skin. Apply it every morning and watch it turn back time. When it comes to egg white products, Korean beauty brands reign supreme. If you're looking to control whiteheads and blackheads on the go, these portable wipes from one of our favorite Korean beauty brands, Skin Food, will be your travel bag staple. Each pad is dampened with an egg white serum that's rich in albumin, a protein that firms skin and tightens pores. Each set is a two-step process. Step one is to clear out blackheads and whiteheads, while step two refines pores. The ingredients in this cleanser from Korean brand Mizon practically make up a well-balanced breakfast. Egg white extract, bilberry, sugarcane, sugar maple, orange lemon, papaya fruit and hyaluronic acid come together in a creamy lather that leaves your face feeling fresh and flawless. Again, the egg whites promote tighter pores and sebum control. Egg-derived ingredients are also beneficial to hair. 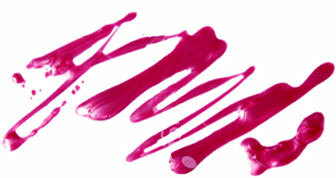 Egg yolk oil can be found in some products to add luster to strands. The oil, also known as ovum oil, comes from chicken eggs and is rich in omega-3 and omega-6 fatty acids to promote cell growth. Plus, it’s high in bioavailable cholesterol which means it absorbs into skin extremely fast, adding plenty of moisture to relieve a dry scalp without leaving residue behind. Dry and dull strands are no match for this unique pre-shampoo treatment oil from Phyto. It’s a once-a-week treatment made with a cocktail of four oils – egg yolk oil, camellia oil, corn germ oil and karanja oil – to revive and stregthen lackluster hair. Here's a perfect gift for the Easter dinner hostess. They may not contain any egg-based ingredients, but these triple-milled soaps from Gianna Rose are blended with good-for-skin botanical extracts. Oatmeal and wheat bran exfoliating particles mimic the speckles of a real robin's egg. How cute! We can't write about egg products without including one of the most infamous beautifying eggs of all. That's right, the PedEgg is an As-Seen-On-TV staple, and there's a good reason why it's still around. While products made from actual eggs leave your skin and hair grogeous, the PedEgg Ultimate Foot File works on calluses and dead skin so you're always sandal ready.